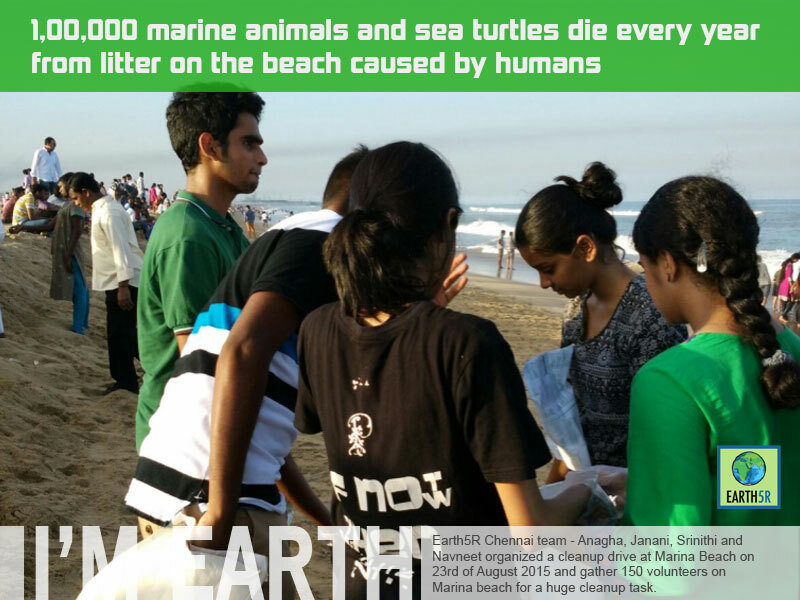 5% of marine litter is on the beach, 15% is on the surface of the sea, and the remaining 70% is on the seabed just waiting for a big storm to bring to our beaches; while 1,00,000 marine animals and sea turtles die every year from litter on the beach caused by humans. 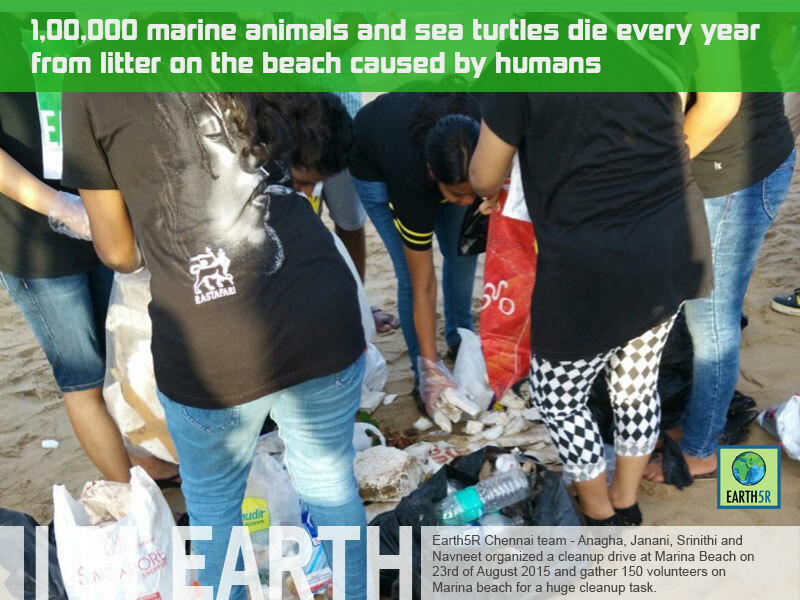 The data presented with respect to marine litter and harm to marine life was enough get the Chennai team geared up for an act of contribution.We believe the Earth we live on does a lot for us, and it’s our duty to give something in return to it. 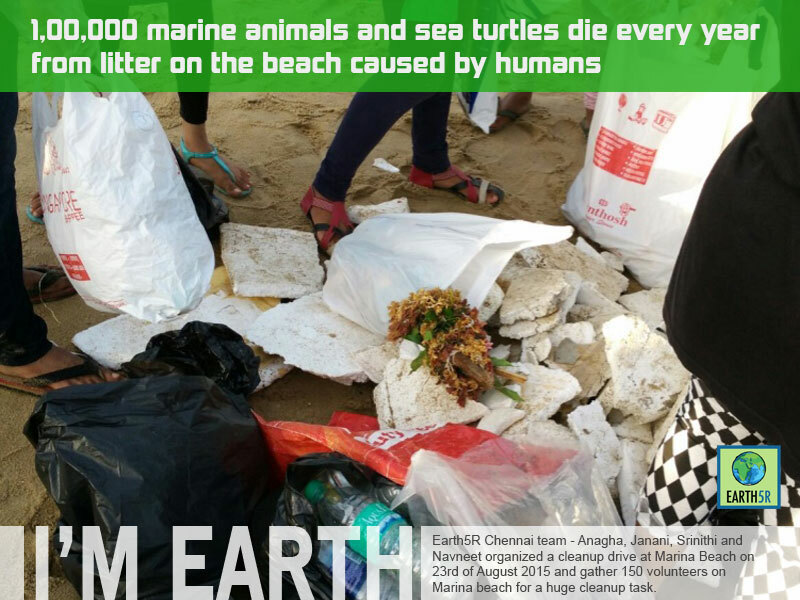 The Earth5R team of Chennai – Anagha, Janani, Srinithi and Navneet organized an activity for cleaning up the Marina Beach, in Chennai on 23rd of August 2015. The team acquired the basic requirements such as hand gloves and plastic bags and it was wonderful to see over a hundred people turn up in support of this activity. 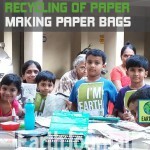 Each and every one of them was hugely enthusiastic in wanting to give back to Mother Earth. They found all kinds of garbage such as wrappers, left-overs of corn, diapers, cigarette bits, broken bottles and collected about 20-25 bags of garbage. 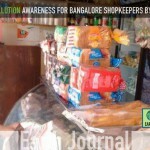 Later, the team also segregated the waste into biodegradable and non-biodegradable. The main reason for the cleanup drive was to have an immediate positive impact on our environment by removing trash and making our surrounding a better place to live in. It was heart-warming to see so much involvement and energy in each one of them. It was a worthwhile cleanup and the team took pleasure in what we were doing. 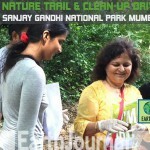 It was surprising to see the huge heap of garbage collected from a small area of the beach. 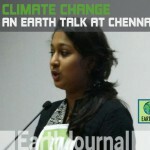 No Replies to "Cleaning up Marina Beach in Chennai"